United Furniture Group provides some of the best quality brands from U.S. and across the world. It means that our furniture is made by quality trusted brands that have been tested for many years. These companies have established good reputation with us and our customers. Our product line includes unique designs and outstanding craftsmanship. Take advantage of sale prices, discount coupons and free shipping nationwide on all orders. Excellent customer service and professional delivery teams are here to assist you. 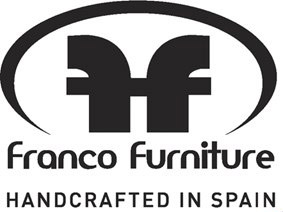 Shop modern, contemporary, traditional and transitional style furniture from quality brands. ESF, Nicoletti, Meridian Furniture, AICO Furniture Michael Amini, Global Furniture, Acme, Sunset, VIG Furniture and many others. Choose from handpicked collection of Bedroom Furniture, Living Room Furniture and Dining Room Sets. We don't just upload pictures to our website, we stand behind every product. Each item listed goes thru quality control and catalog style matching before it goes live. Your investment today will last for many years to come. If you need more info, our customer service knows all the product line. United Furniture Group has been in business for many years and established strong relationship with its suppliers and brands. This helps us tremendously to provide best prices, quality product and outstanding customer service.